Phyllis Ceccarelli was born and raised in New Haven, CT. She graduated from Sacred Heart Grammar School and Hillhouse High School in 1954 and attended Stone Business School evening classes for one year. In 1973, she graduated from the Connecticut School of Savings Banking and the National School of Finance and Management in 1985. She was hired by New Haven Savings Bank in 1954 as a bookkeeper. She worked her way up the corporate ladder, holding the positions of teller, manager of the main office, and Assistant Treasurer. She holds the honor of being the first woman to be elected an officer of the bank. She became Assistant Vice President in 1973 and continued managing the main office. In 1983 she was promoted to Vice President and headed up the Deposit Services Department and was subsequently promoted to First Vice President in 1989 where she remained in charge of Deposit Services until her retirement in 1999. She was affiliated with the Association of Savings Bank Women of Connecticut, the Connecticut chapter of the National Association of Bank Women and the Association of Records Management and Administrators. 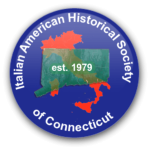 In June, 1979, she became a Founder and Incorporator of the IAHS of Greater New Haven. Post-retirement, she has done volunteer work for Yale New Haven Hospital.